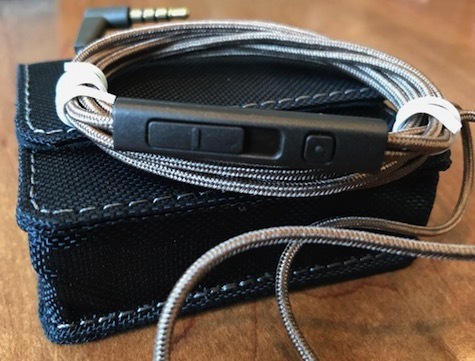 The eartips are noise-cancelling, blocking out 98 percent of ambient sounds. They fit snugly, so exercise caution. If you’re listening to loud music, you’re not going to hear much of anything around you. The experience is immersive and powerful. The inline controls enable you to answer calls and speak on your iPhone, but they have another innovative feature for controlling the volume. Rather than use buttons to increase or decrease volume, which is standard on most earphones, Aurvana’s In-Ear 3 Plus come with a slider. This removes some of the mystery of which button to press when you’re wearing the headset and can’t see the inline controls. 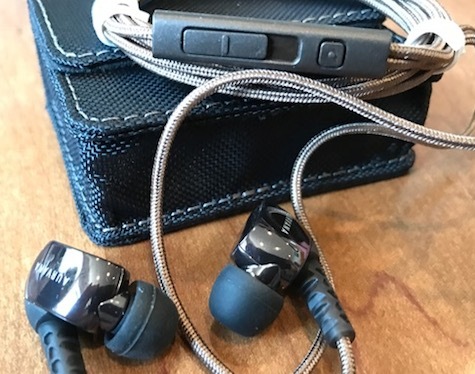 Creative Labs says it designed the In-Ear 3 Plus with “two precise Balanced Armature Tweeters and Woofers with passive crossovers that deliver smoother and more accurate sound reproduction.” After listening to a wide variety of music for two weeks, I cannot quibble with the description. Not being an audio engineer, some of the technical details had little meaning to me but I was able to verify the claims by simply listening to three or four other headsets for comparison. Creative Labs says the Aurvana In-Ear 3 Plus Headphones feature “an angled sound tube that provides a more natural fit into the ear canal while a patent-pending acoustic partition design separates the Tweeter and Woofer audio until it reaches the ear canal.” They’re designed to be draped from behind the ear to the front and then inserted. They’re so comfortable it’s easy to forget they’re there.The result is sound quality that’s remarkably clear, even when listening to older monaural recordings. An attractive carrying case is also included. The Aurvana In-Ear 3 Plus Headphones are highly recommended and are excellent value. MyMac Review rating is a solid 10 out of 10.